Pam: I am not a fan of Valentines Day, but February does have alot to do with love and a great reminder to appreciate those that you love. Therefore, it would seem fitting that I show an appreciation for one of my favorite literary figures, Sherlock Holmes. I obtained the lined vintage celluloid pen from John Albert of Romulus pens and named it Sherlock in the process of designing the pen with him. The black and gray lines reminded me of the now infamous Belstaff coat that is donned by the most recent reincarnation of Sherlock, Benedict Cumberbatch in the BBC series. I searched for a while before I found my perfect pairing of ink. Montblanc Lavender Purple is very reminiscent of the purple scarf Cumberbatch-Sherlock is fond of wearing. As I told my fellow pen bloggers, I heart Cumberbatch-Sherlock as much as Katherine loves faceted pens. What better time of year to express my love in pen form than this month? Thanks John for such an amazing pen! Franz: It’s a blue pen… shocking! =) It has been said before that February is the month of love and well, #iLoveBluePens! So for this month, I chose to ink up and feature this Parker Vacumatic Maxima in Azure Blue Pearl. According to the date code, this Vacumatic was made in the last quarter of 1941. I’ve seriously been getting deeper into the vintage pen realm and loving it. Honestly, any fountain pen lover must own at least one Parker Vacumatic. I’m sure you’ll enjoy the feel of it as well as the coolness of the vacuum pump filler. For about 15 years, Parker produced the Vacumatic in a handful of different sizes for almost every hand size. Having the bear-paw among the 3 of us, the Maxima (the largest) size fits my hand well even with the cap unposted. 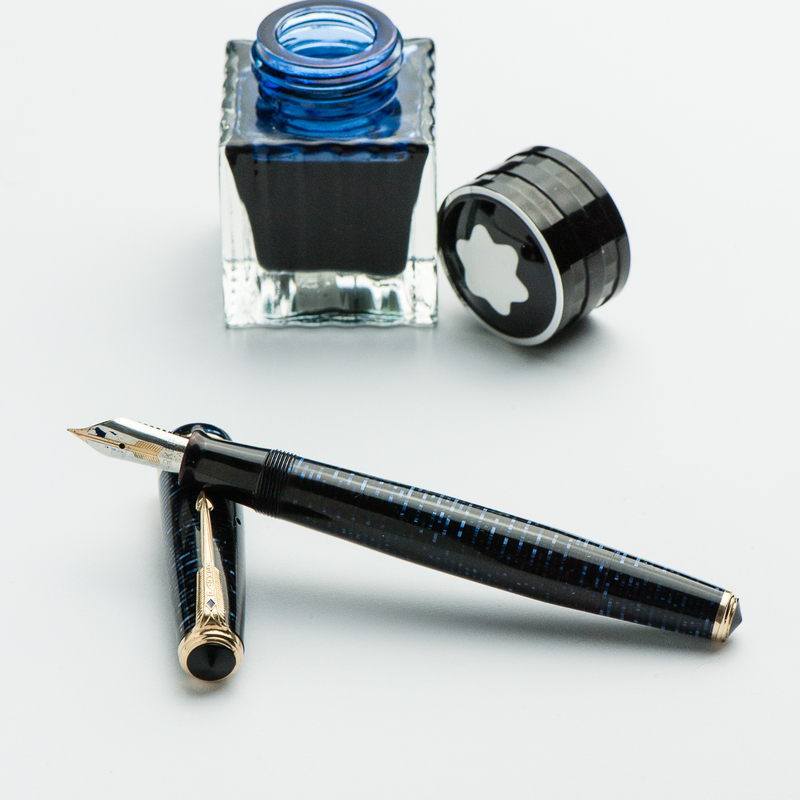 Paired with this beautiful blue pen is the limited edition Montblanc Meisterstück Blue Hour/Twilight Blue ink. I love how the pen matches the blue color of the ink when you lay it down on paper and then as it dries, it changes to a blue-green color. I learned about this ink about 3 years ago from reading Azizah’s review on her site: Gourmet Pens-Montblanc Blue Hour. Gorgeous pens, everyone! 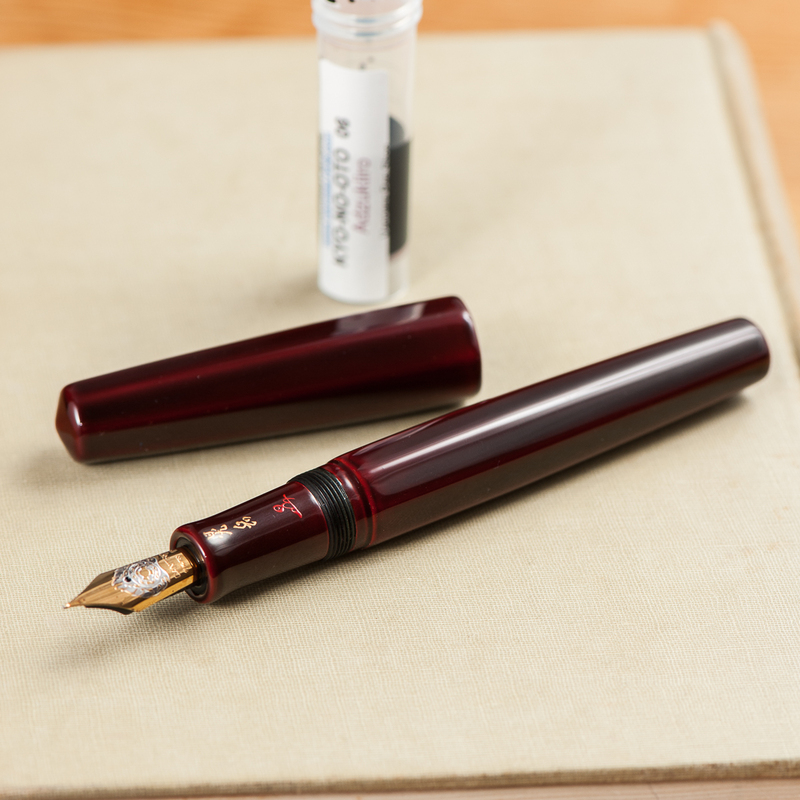 I am especially swooning over the Parker Vacumatic Maxima which would be too big for my small hands. Thanks fenchurch! It’s been a minute since I’ve seen you. Let me know when you’ll be attending a posse meet and I’ll bring it. 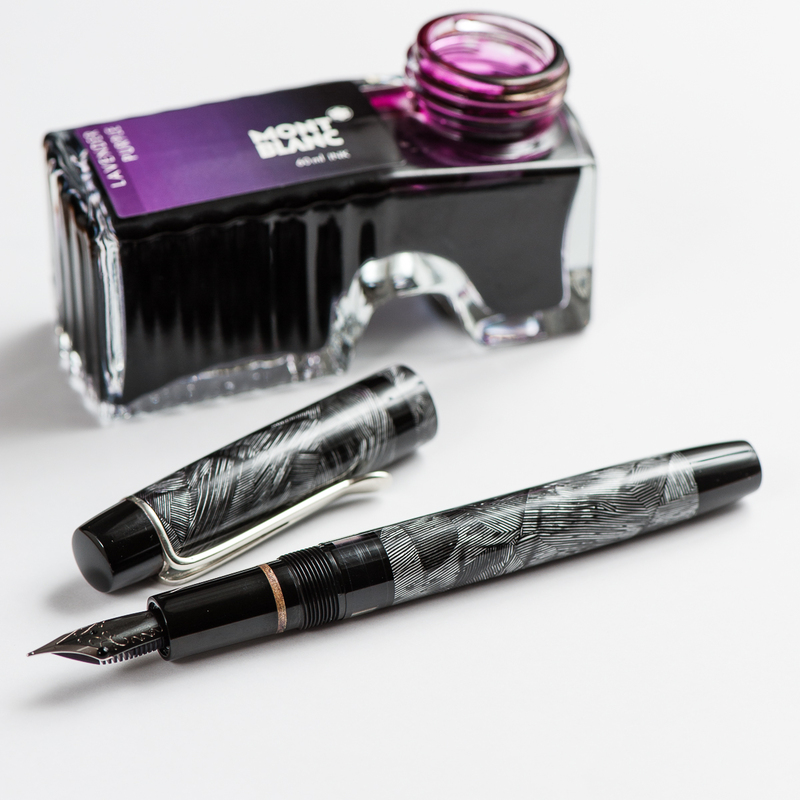 Do you have a Parker Vacumatic? The pens are lovely! But BBC Sherlock’s scarf is blue, it’s one of his shirts that is the infamous purple.